Regardless of incensment in number of foreign company, the common practices such as signing office lease or renovating office spaces are still one of the big problems due to high office setup cost and renovation fee. 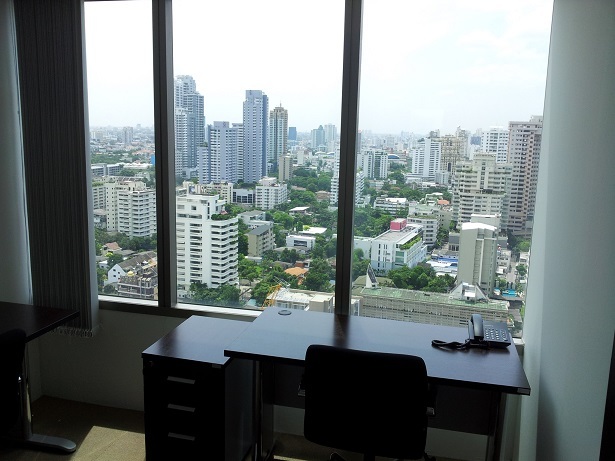 Serviced offices CROSSCOOP Bangkok significantly reduces your initial cost and cut your wasted time. 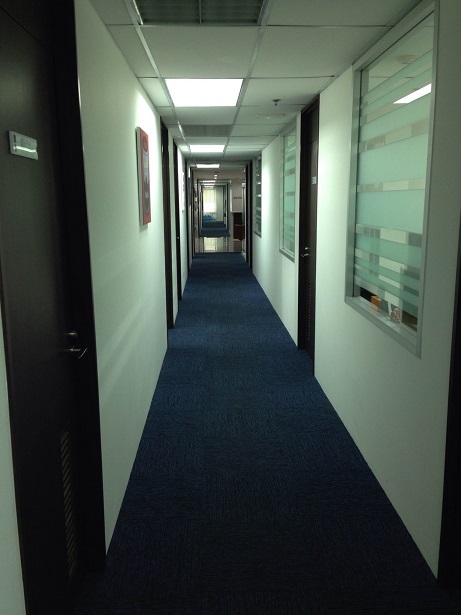 Our office spaces can be used as a liaison office, temporary office, etc. 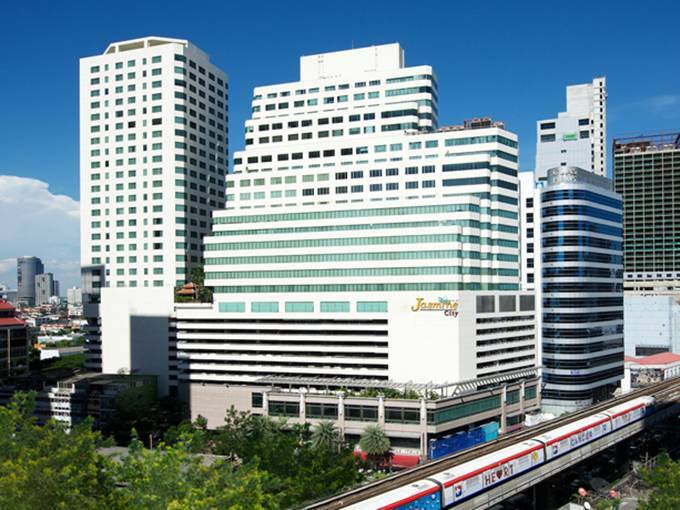 CROSSCOOP Bangkok Serviced Office is strategically situated in the heart of Bangkok’s Central Business District (CBD), only few minutes’ walk away from Asoke and Sukhumvit station. 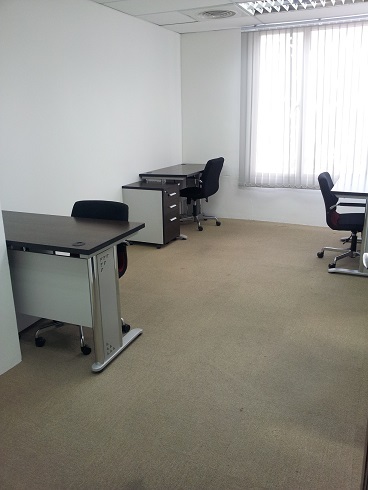 Our office is fully equipped with work desk, chair, pedestal cabinet, telephone as well as high speed Internet (100mbps). Waiting Area and Meeting rooms are also available. Our office significantly reduces your initial cost (No hidden cost). No need for cumbersome, time-consuming and costly renovation. We offer clients the flexibility to change office rooms according to size of their business. In Serviced office CROSSCOOP Bangkok, we offer a stable 100Mbps internet speed with Wifi service when the general speed of THailand is around ADSL5 ~ 10Mbps. For same number of users, prices differ for private rooms on window-side or corridor-side. In addition Our serviced office strength,,,No deposit required, Minimum contract period: 1 month, Office facility (furniture, phone, etc.) 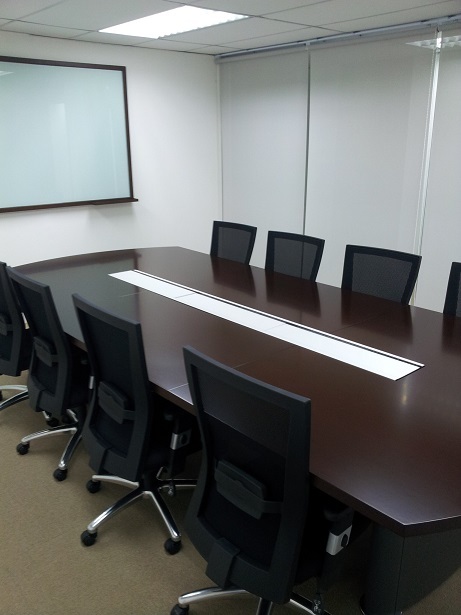 is ready for immediately use, Office space for 1 – 9 people(8 – 28㎡), You are not required to pay any additional fee during contract period nor upon renewal! 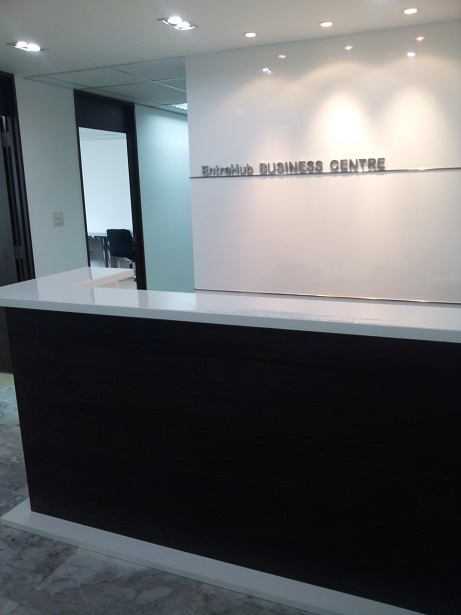 Business Lounge, Meeting Room facilities, Phone services, Internet, FAX, Secretarial service, Security Lockers, Translation, etc. (1) Security deposit (equivalent to two month rent) and Security Card issuance fee are required. (2) Minimum 1 month contracts available. (3) Contract is not in the form of a lease agreement but a service agreement. (4) Fees are NOT applicable for Contract renewal, Room Change or Restoration (Charges apply for repairs if room is damaged). (5) In the case of renewal of a contract, any fees may change according to an economical environment. 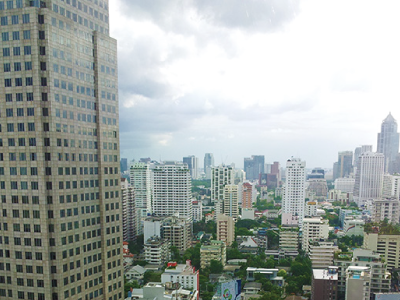 CROSSCOOP BANGKOK serviced office is primely located on Sukhumvit Rd in the heart of central Bangkok in Thailand. We are only 2 minutes walking distance from Asoke intersection and 3 minutes walking distance from the Asoke BTS station and the Sukhumvit MRT station. 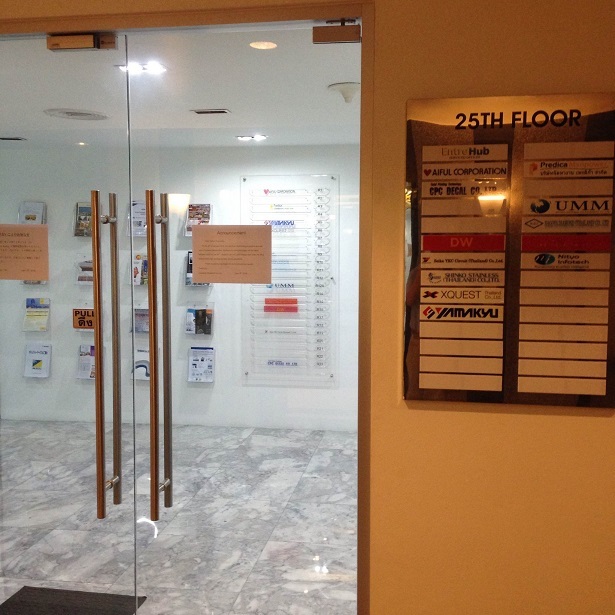 Our modern office is not only well equipped with facilities, but also suitable for various businesses. Hotel, shopping mall and many restaurants are within the development itself. There are also many different restaurants in the area offering various cuisines. 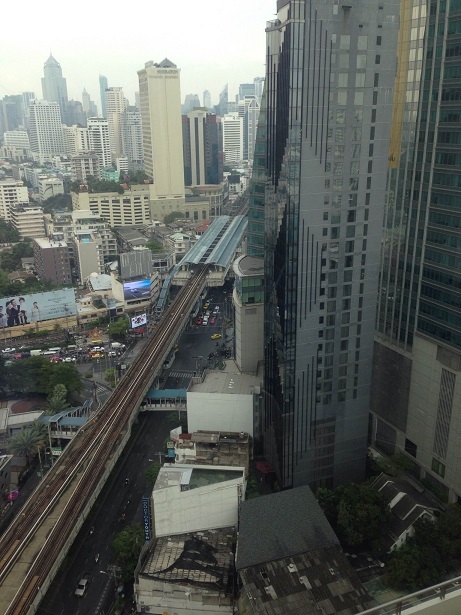 Bangkok’s international airport is also easily accesssible via the modern Thai public transportation system. It is only 1 stop by MRT to Petchaburi MRT station to change to the City Line to go to the airport, which makes it very convenient for frequent business travellers.